Nowadays, gloves are not only worn for utilitarian reasons or for protection from the cold weather. Gloves are moving away from their practical purposes, they are being worn now by modern women as a statement touch. With that in mind, today, I'm wearing the most beautiful gloves I ever put my hands in. From the moment I opened the packaging to the moment I slid these gloves on my hands, I realized that BeauGant.com wasn't kidding when they told me, "Our gloves are luxurious". I did not hesitate to go through with this collaboration because I knew I was going to introduce my blog readers to a product that I would buy for myself. 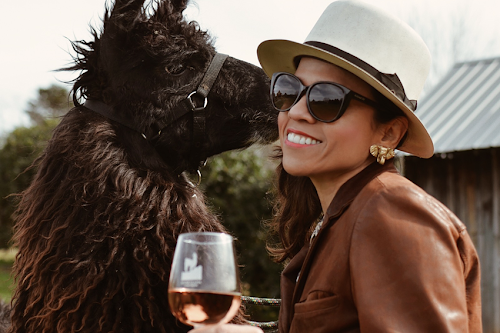 I had the opportunity to chat over the phone with Katie Das, founder of BeauGant.com. She was extremely cordial and also very informative about the gloves craftsmanship, quality and, collections. The gloves that I'm wearing today are from BeauGant.com limited Fall 2016 collection. The first thing that drew my attention to this particular style, was the bow detail followed by the burgundy and pink combo. 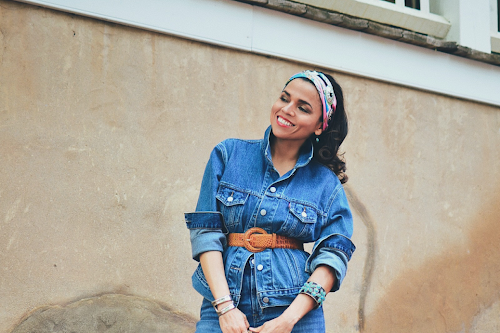 The retro bow makes this style very feminine, therefore, the perfect gloves for my masculine-inspired outfits. You know me, I'm all about juxtaposition. 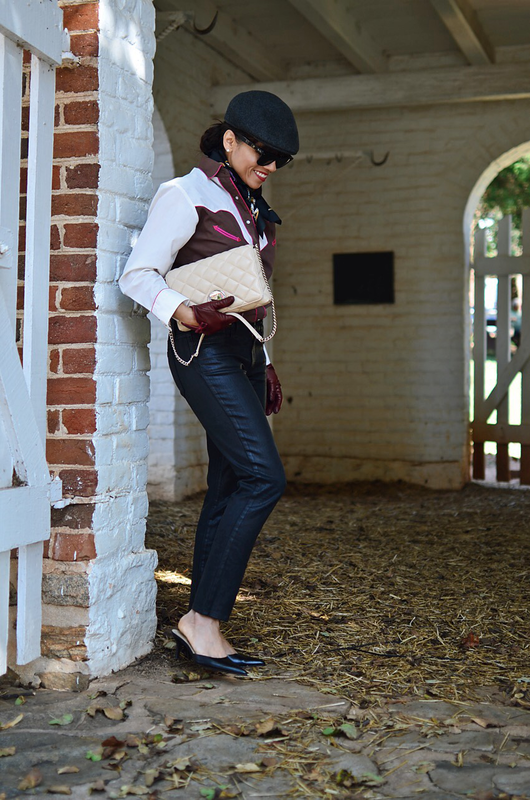 I decided to style these sumptuous gloves with a modern western-esque outfit and of course with a masculine-inspired. I combined feminine with masculine and vintage with contemporary in order to create a fun and unexpected choice. All the garments in this ensemble are making a different statement, and yet, they all seem to be in harmony with each other. I really enjoy the supple leather of these gloves and my hands quickly fell in love with the soft cashmere lining. I learned that these gloves are handmade, which in our mass production world has become very rare. You will identify right away with the outstanding quality of the gloves, not only the craftsmanship. You will also be able to tell that the Italian leather they use to make these must-have gloves is top-notch. Finding the proper glove size is as important as finding the style that suits you. 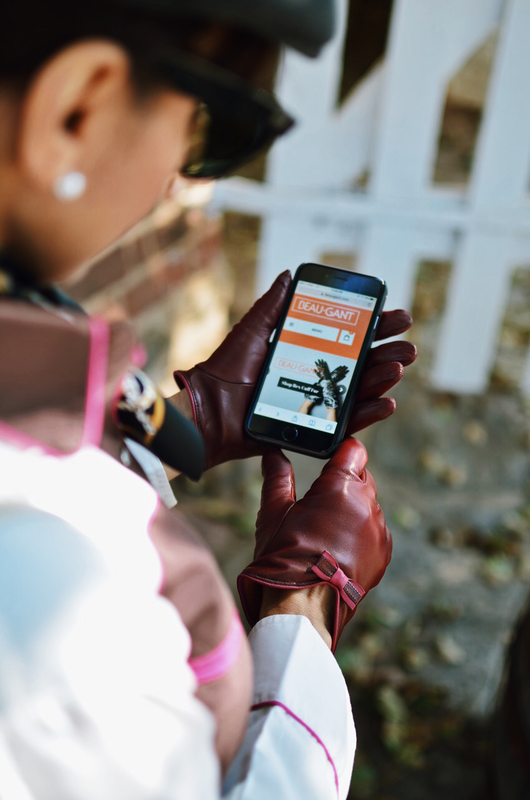 If you are not sure about sizings when purchasing their gloves, BeauGant.com offers a very simple guide on how to find your perfect glove size. Click here to take you there. If you are not sure about what style is best for you, my advice is to select a pair from their classic collections. You can still make a statement with classic gloves if you wear colorful styles. I have to inform you that I also selected another pair of beautiful gloves from their stylish collections. I bet you can't guess what style I chose. 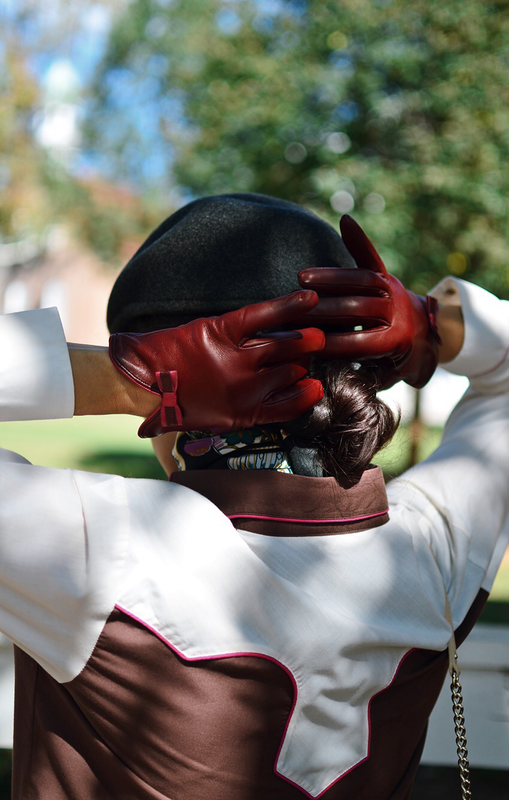 Well, another outfit post with BeauGant gloves is coming up soon! Are you picky like me? if so, then you will understand why I took a picture of the packaging of my beautiful gloves. A thoughtful packaging like this says so much about the company you are buying from; you know they are thankful for your business, therefore they want to make sure you know that. 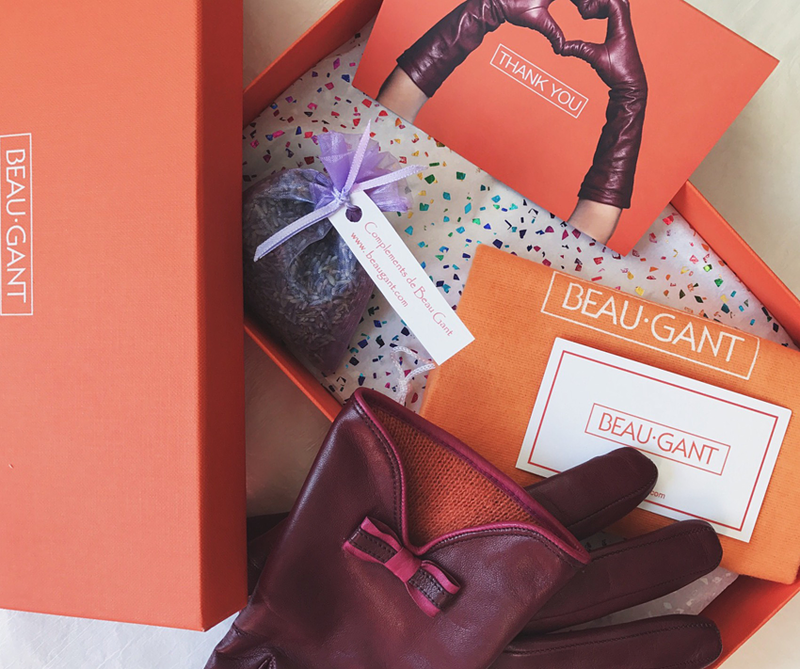 The picture below shows how your Beau-Gant gloves will arrive at your home. The box itself is so beautiful (Hermès-esque) and by the way, the gloves come with a dust-bag as well. I honestly did not want to mess up the pretty layout when I opened the box. Shirt: Vintage. Similar here and here/Jeans: Joe's. Similar/Shoes: Burberry. Similar/Cap: buy similar/Sunglasses: Vintage Ray-Ban. 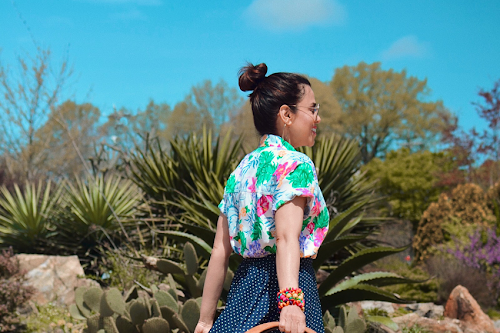 Similar/Bag: Kate Spade. Similar/Scarf: H&M. Similar. This blog post was sponsored by BeauGant.com. The review of this product is my personal and genuine opinion. Very nice look. I've needed ideas for a western shirt--thanks! Thanks! I'm glad I helped. I love gloves!!! I even have a box full of diferent kind of gloves. A pair of gloves for avery occassion. Great advice. I will have a lot at the page. Have a nice day! Gloves are great accessory! Thanks so much for your comment. Oh...I covet the entire look. The gloves are very Dita Von Teese, super feminine. You are right! and thanks.